The summer heat is theoretically behind us and the cooler winter temperature supposedly fast approaching. So how will this change affect our winter style and what we will be wearing in the coming fall and winter months. Well fortunately for us here in South Florida, not very much. That of course is one of the reasons we enjoy living here. We do not have to worry about dusting off the winter clothing to protect us from the changes that mother-nature imposes on other parts of the country. Although it is fun to break out the occasional cashmere sweater or slightly heavier sport coat, most of the time layering is not called for. So what is the style sense for us Floridians during the last quarter of the year? Some would say that there is an entirely different approach to our fashion here. 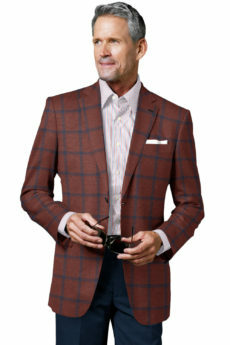 The primary difference during this time of the year is that of the types of fabrics being worn. Up north, warmer and heavier cottons, wools and leathers. While here in FLA we are still trying to stay cool in our 80+ days. This means even linens still come out and play. The next big difference is color. For us it is still about blues, reds, and even whites while in the tundra it is like the surroundings, darker grays, blacks and earth tones. So what fashion advice does RICARDO have to offer the gentlemen of South Florida for this upcoming winter and social season? 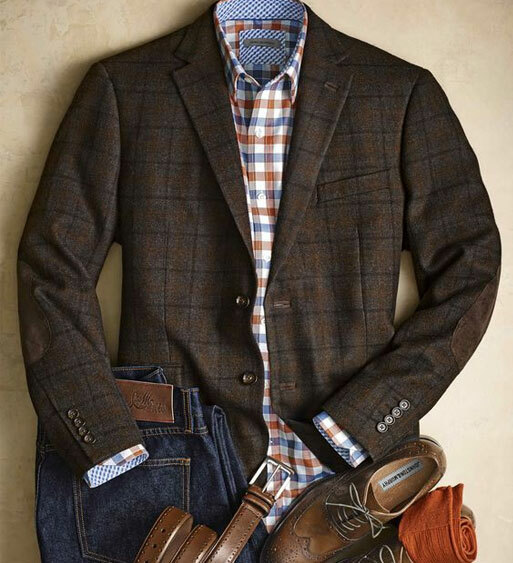 Our number one winter style suggestion is “sport coats”. Be prepared for any cocktail party or dinner outing with a few well-fitting and colorful jackets. These will provide you with whatever warmth you may need on that occasional cooler night and still be comfortable to wear on balmier occasions. 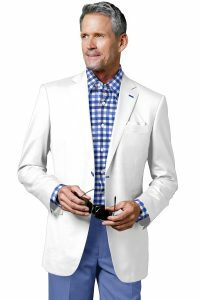 Additionally, sport coats afford you the ability to dress up with a nice pair of slacks and even a tie or more casually with a pair of nice jeans and even an ascot. Also, with the right choice in fabrics you will have a garment you can wear year a round and that will afford you many outfit combinations. If you are not sure as to the color choice, our number one recommendation is some combination with blue. It is a good color for everyone and it blends well with many others. Below are some examples. Of course, your overall look also depends on the shirt and pant you pair with your jacket. 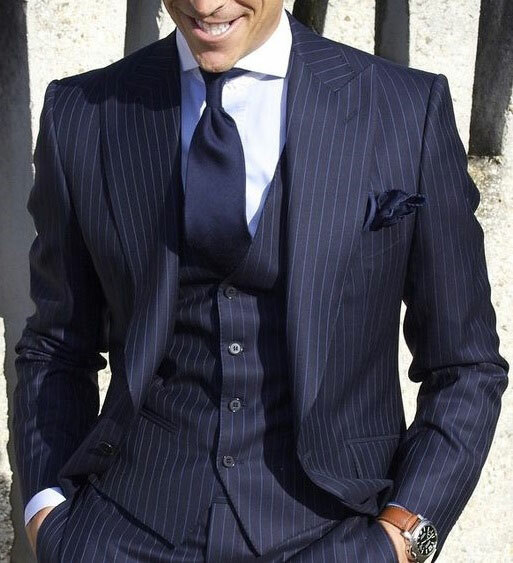 At RICARDO you can count on us to put together the best looking outfit for your personality and body type.